Tottenham Hotspur travel to Prenton Park and Tranmere Rovers later this evening in our third round FA Cup clash. 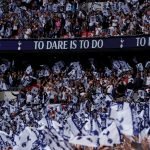 The club are trophy-less in the last eleven years as everyone is acutely and probably painfully aware, and there’s been plenty of talk in the campaign of 2018/19 so far about lifting silverware and getting Spurs their day in the sun once more – as opposed to merely showing improvement on a challenging front. In the buildup to tonight’s action manager Mauricio Pochettino was obviously tasked with a few questions on that score and although I think there was a huge amount of playing down expectations in his answer, his answer itself was interesting and for me, I hope, suggests the public message is a lot different to the private message within the dressing room. Taking the angle that Spurs could still demonstrate progress without an update to the trophy cabinet, he told Sky Sports. 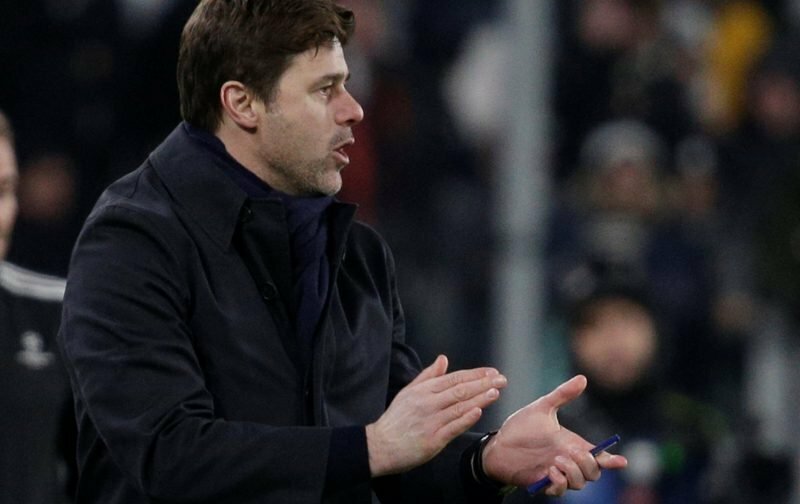 Standard fair really for managers in the modern game given the importance of the Premier League riches, and Poch more than alluded to that himself, as he added. I think he erred with the final line – mainly because he didn’t expect muppets like me to read into it. The character of the club financially, no, he’s right it wouldn’t. You get more these days for being relegated to the Championship as we all know. The character of the club in terms of our long-term plan, building for the future and having a vision, no. But character, in the true sense. I’m sure he’s saying differently in private, because it would. A justification, a confidence lift, don’t underestimate a successful day out at Wembley when it counts for more than a weekly game. The character of the club being winners again – restoring their place in the history books and not just as plucky challengers…something tangible. That makes a difference and I’m sure he knows it. Winning trophies is important for the club, the players, the fans ! It gives everyone associated with the club a lift , raises the profile of the club, increases income, enables improved salaries to increase chances of bringing in quality players as and when needed, increases attendance, sale of the clubs products! As much as I can see where he is coming from, until we are in a position to financially challenge the richer teams, we are always going to play catch up and I think that MP is setting objectives that he cannot deliver on. If the intention is to win the PL, then MP should go to Levy and show him Liverpool and City’s wage bills. Tell him that wen we are ready to spend what it takes, he will deliver a title. Somebody in the room needs a reality check. Last week I heard that inarticulate buffoon Steve Claridge on Radio 5Live saying that only people who know nothing about football are bothered about trophies, and the rest of the ‘expert’ panel agreed with him! What he and they really meant was that only the least important people in football, namely the poor old fans who actually finance the PL gravy train, think that silverware really matters, the clubs and players seeing money as infinitely more important, and nothing could illustrate the gap between the punters and the pros more clearly. I think a lot of the people who post or blog in support of Levy/ENIC, usually to make the old ‘Spurs are over-achieving’ argument, mistakenly think that the club wants the same thing that the supporters do, but are just going about it cautiously (not ‘doing a Leeds’), whereas the stark truth is that ENIC isn’t bothered if we never win anything again, just so long as they can maintain a healthy bottom line, and sell the club for a grotesque profit at the earliest convenient opportunity. If Spurs winning the League and/or FA Cup can really serve to change our clubs standing so much. If it means the start of the path to greater things; Then why didn’t anything change that much for the better the last time we won a trophy? The league cup was that trophy, way back in 2007-08 v Chelsea. The team that finished 2nd in the PL that season just 2 points behind Man U… Spurs finished in 11th, 3 points behind WHU and just 3 points ahead of Newcastle United. In other words, what was the big deal in winning a trophy that year that makes the past 4 1/2 seasons under Pochettino less worthy as a club and team? What made the 2007-08 season so memorable for a Spurs fan, beyond the celebration of beating Chelsea on that particular day? HT – you’re right, we don’t have a choice. But there is something to be said about living within our means then. I am not telling my girlfriend that I will take her on a 50.000€ holiday this year, because I know that I can’t deliver on that promise, given my current income. If she had those expectations, I’d tell her to leave me and find someone who can deliver on that promise. But I am never going to make a promise I can’t keep, which is exactly what the club seems to be doing here. You seem to have contradicted your general negative stance on the clubs workings big time though… By suggesting that the club should be living (working) within it’s means. HT – not a contradiction. I have always contended that we should spend wisely, but what we are doing is beyond prudent. It’s tight. There has to be a middle ground between what we are doing and what City are doing. We are unprecedently cheap. And you can’t be that cheap and hope to win big titles. That’s flawed logic. THFC has progressed way beyond the financial restraints by ENIC building the training ground, fighting Archway Steel / Harringey Council / Boris at City Hall, paying massive legal costs, architect costs, etc. (redesigning the stadium) also funding and building the new stadium. This progress on the football level is due to Poch and coaches, and players with us on lower wages that at other top 6 PL clubs. So that is why we have to start funding the playing staff to go up a level to city, ‘pool chaves gooners and Utd. BS, It’s your subjective and throwaway opinion that says ENIC have been “tight” and not “prudent’ with THFC’s finances. But the reality is that that is simply untrue. To crudely express it that the owners have been tight, is just a meaningless and hollow put down when we consider the complexities and expenses of running a top PL club such as Spurs and elevating it as far as they have done, to the point we are now at as a club from when they first took over. And when we look at the extreme costs of the ongoing THFC project at a whole. From the huge investments into the entire infrastructure and through to the team itself; then using the word ‘tight’ as an observation into it all is not only meaningless but its laughable too. It’s really not a very well thought out starting point as a critique and frankly its just not worthy as a point for further conversation. I asked a couple of questions in my first post that relate directly to the questions put in the article. But, unsurprisingly, have not had any answers to them. And that is probably because it would take a real and actual sense of logical thinking for an intelligent and sensible response. Rather than a purely emotive and unthinking response, that says nothing at all. HT – I have time and again defend my stance with facts. Pointing to our wages to revenue ratio, a metric commonly accepted by firms such as Deloitte, to illustrate my point. I could also point to the fact that we are setting unwanted precedents (being the 1st team in the PL era not to spend a single penny in a summer TW). But the reality is that none of these objective things suit your subjective narrative, so you dismiss them. If anything, that’s the only stubborn and unintelligent response I have seen. PY – if that is the case, wouldn’t it be fair for fans to expect the chairman of the club to be fully transparent on this? We can all use irony to try to make a point, and of course that’s the elephant in the room. But apparently you’re OK with Levy lying to you/us. Supporting Spurs is also a choice BS, if you really feel this way, you have another choice, its like having a girlfriend you really not happy with, one you are always complaining about, but hoping one day she will turn into the woman of your dreams. Is there anything about Spurs that really pleases you? Ossie – many things about the club please me. I am just not happy with a chairman who feels that lying to the club’s fans is OK, and who has a history of putting business interests ahead of sporting ones. I’d like to think that the club is bigger than a chairman who is hopefully only in charge for a temporary period (even if that temporary period is likely to span over decades). Longtime fans like Frank speak fondly of a time before ENIC and I’d like to think that being a Spurs fans and not being an ENIC fan are not mutually exclusive things. I’m not hoping to change a less than ideal girlfriend, I am just hoping she goes back to being the girl I fell in love with rather than the money-driven person she has become. BS, you’re not as old as Frank, the girl you fell in love with was in regular relegation battles. Why would you want to return there? If Levy is lying, its a small price to pay, for the substantial improvements you’ve witnessed in your lifetime. To the point you could assume, his dishonesty has long term benefits for our club, that we may not be privy too. Or maybe you’d prefer someone like Peter Ridsdale inc charge. Honest, but with a team in the lower divisions due to his incompetency.